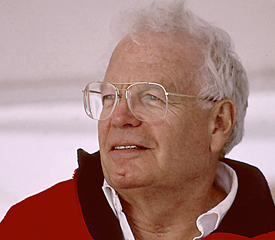 The Cultural Council of Palm Beach County was founded in 1978 (then named the Palm Beach County Council of the Arts) through the vision and leadership of Alexander W. Dreyfoos, an inventor, successful business owner and community activist, who believed in the value of arts and culture enhancing and sustaining strong economic and societal growth. Now in its fourth decade, the Council has evolved to be a strong, multi-faceted local arts advocate with priorities that include providing grants to cultural organizations and professional artists, developing and advocating for cultural funding, enhancing arts education, providing services that build capacity and marketing the county as a destination for cultural tourism. The Council is a private, non-profit, membership-based corporation. As The Palm Beaches’ officially designated agency for cultural development, the Council leads the way in nurturing, promoting and celebrating the artistic and cultural community in one of Florida’s largest and most diverse counties. In this leadership role, the Council administers a portion of local tourist development funds under contract with Palm Beach County government. It is also innovative and influential in creating additional funding for cultural programs, organizations and professional artists. From its beginning, the Council has committed its energies and resources to being a catalyst for the establishment of new cultural institutions, enhancing existing organizations and encouraging opportunities for individual professional artists. From helping set the stage for the creation of the Raymond F. Kravis Center for the Performing Arts, the Armory Art Center and the Center for Creative Education, to regularly assisting small, grassroots organizations through grant programs, technical support and capacity-building initiatives, the Council is focused on developing and maintaining a thriving arts and cultural environment in The Palm Beaches. As the Council has matured it has become a motivating force on a regional and national basis, providing support and leadership to similar agencies and programs and taking an active role in national dialogue and policies. The Cultural Council is a private non-profit corporation that manages a portion of local tourist development funds (“bed tax”) under contract with Palm Beach County. Each year, the Council must raise about 60 percent of its program funding from private sources such as individuals, foundations, corporations and events. These private funds underwrite programs such as arts education, advocacy, artist services and general management of programs. County “bed tax” funds that are allocated to the arts are managed by the Council each year to promote the county as a cultural tourism destination. Part of these public funds are used to provide annual grants to dozens of cultural institutions that attract and serve tourists with excellent programming. The rest of these public funds are used for general promotional activities such as advertising and public relations. The Council is the local arts agency for this region. We continually gather information from national sources, especially Americans for the Arts, a national arts organization offering advocacy and technical assistance. The Council disseminates relevant arts-related studies produced by a variety of national resources. The Council’s advocacy efforts cover public policy and funding issues locally, statewide and nationally. The Cultural Executives Committee is a group of cultural leaders who meet to learn, network and collaborate. The group consists of senior management staff from more than 120 non-profit cultural organizations across Palm Beach County. The Cultural Educators Committee is a group of youth program coordinators and education department representatives, encompassing visual art, dance, theatre, music, history and science. The Cultural Marketing Committee are marketing professionals from county arts organizations who meet to collaborate on marketing efforts, network and learn from occasional guest speakers. The Council is an important resource for information on arts and culture in the region and state. The Council conducts various surveys in order to provide relevant information to a number of sources including government, tourism organizations and business groups. Find reports and other statistical information here. For years, the Council has hosted a great variety of events for members and for the public. These events include revolving exhibitions in our building’s gallery, lecture series with featured artists, It’s What You See luncheons with renowned art collectors, Art on the Road studio tours, Evenings at the Council concerts and the Culture & Cocktails conversation series. Find upcoming Cultural Council events here, or contact Debbie Calabria at (561) 472-3330 or dcalabria@palmbeachculture.com. As part of the Palm Beach County Tourist Development Council (TDC), the Cultural Council also works with TDC sister agencies, including Discover the Palm Beaches, Palm Beach County Convention Center, Sports Commission and Film and Television Commission to promote The Palm Beaches as a vibrant tourism destination. The Council regularly recognizes outstanding achievements in arts and culture in the county. These include the South Florida Cultural Consortium Fellowship, the Ubertalli and Fyfe Awards, and since January 2007, the Council has hosted the Muse Awards, a signature event recognizing the best of the best in arts and culture in our county. In addition, the Council itself has been honored with awards for special events, projects and for the quality of its magazine, art&culture. Upon opening its headquarters in the Robert M. Montgomery Jr. building in downtown Lake Worth, opportunities have expanded to achieve the Council’s ambitious goals. Better positioned than ever to fulfill its mission and its vision for the future, the Council continues to grow and take on new possibilities and responsibilities as it charts a path to success. The Cultural Council of Palm Beach County is a not for profit 501(c)(3) organization. Contributions to the Council are tax deductible to the extent allowable by law. The Cultural Council of Palm Beach County believes that our donors’ confidentiality should be protected. The Council will not sell or trade a donor’s personal information to any other entity in existence without their written permission.